An active dog is a happy dog, and sometimes that means sending your pet on a little hide and seek mission. 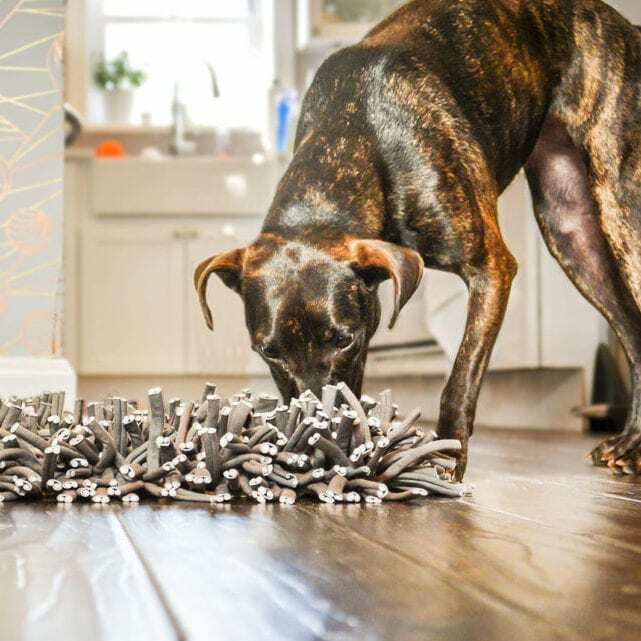 From fun training exercises to games that play to your pup's natural instincts, you can challenge your furry friend with some activities that require focus and problem-solving skills. Succeeding at these search challenges means a tasty treat reward, so food-motivated pooches should have no problem getting into the game. Freshpet's healthy, all natural dog food recipes are a great choice for positive reinforcement rewards in each of these activities. Use any kind of treat or food that's safe for your pet, including grain-free dog food. Coming when called is an important skill, and you can practice together by playing hide and seek. Start in your house or another enclosed, low-distraction environment where your pup will be safe off-leash. With a friend or family member, stand about five feet away from each other and take turns calling your dog, rewarding her with a small treat or piece of food each time she successfully reaches the person calling her. When she responds successfully to being called, each caller should take a step away from each other. Eventually, go into separate rooms and even to different parts of the house. That's part of the game; you're continually spreading out and making the seeking challenge more difficult, which will help reinforce the recall concept for your pup. Be patient and take it slow. Dogs have to learn the rules of hide and seek just like you did when you were a kid! Hide and seek can also involve having your dog hunt for food in a hidden location rather than coming when called from a distance. Freshpet's refrigerated dog food is ultra tempting and carries a strong, enticing smell, making it the perfect fit for this game. Start by hiding a small portion of healthy dog food within a yard or two of your dog and then gradually work your way up to bigger challenges, like hiding the food in a different room. You can also stash the food behind lightweight obstacles like empty cardboard boxes. Have your dog practice down/stay or sit/stay while you're hiding the treat, giving a release command when it's time for the seeking to begin. Do you give out coupons for your dog food? If so may I please have some. We use it exclusively for our babies!! These are all great idea. I will give them a try and let you know how it goes!